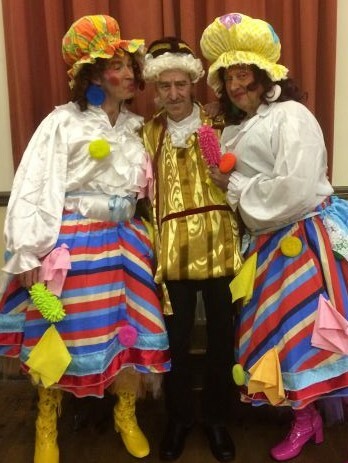 February 2019 sees the return of the Bradwell Centenary Players in a pantomime production of Beauty and the Beast. Our version of this much-loved tale has a wanna-be comedian Jimmy Riddle, two Dames, a talking dog, a rat and a couple of wild cats. Evil witch Grimelza is causing mayhem. Nasty Snivel and Snide are trying to sell, as statues, people the Beast has turned to stone by howling. Growwwwwllllllllllllllll! Whoops he's done it again! You are never to old for Panto, and this one is a right laugh. Book your tickets here and you can see new and familiar faces, young and old, doing song and dance and local pantomime humour, in this big and colourful production.